Edwin Hart Turner was executed by the state of Mississippi on February 8, 2012. Edwin was pronounced dead at 6:21 pm CST, inside the execution chamber at the Mississippi State Penitentiary in Parchman, Mississippi. Edwin was 38 years of age. Edwin was executed for the double murder of 37-year-old Eddie Brooks and 38-year-old Everett Curry on December 12, 1995, in Carroll County, Mississippi. Edwin spent the last 15 years of his life on Mississippi’s death row. Edwin alleges he was abused as a child and that his mother was an alcoholic. His father died when he was twelve. Edwin had twice tried to take his own life, first by shooting himself at the age of 18, and then again by slitting his wrists in 1995. 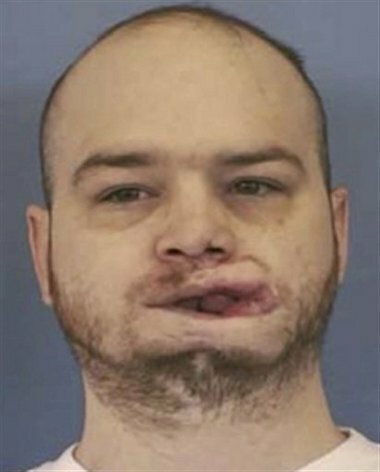 The shooting left Edwin severely disfigured. Edwin had also been involuntarily hospitalized in psychiatric hospitals three times. Edwin also frequently used drugs and alcohol, which he was on the night of the murders. Please pray for peace and healing for the families of Eddie Brooks and Everett Curry. Please pray for the family of Edwin Turner.